Register Log In Moparts Forums Moparts Question and Answer 727 upshifts, what to do next?? Could also be a stuck governor on the tailshaft. In the book on rebuilding 727's there is a testing procedure using pressure gauges. Disconnect the linkage from the top lever on the trans and operate it by hand, the lever should have increasing spring resistance as it is moved rearward and should hit a hard stop both for and aft. 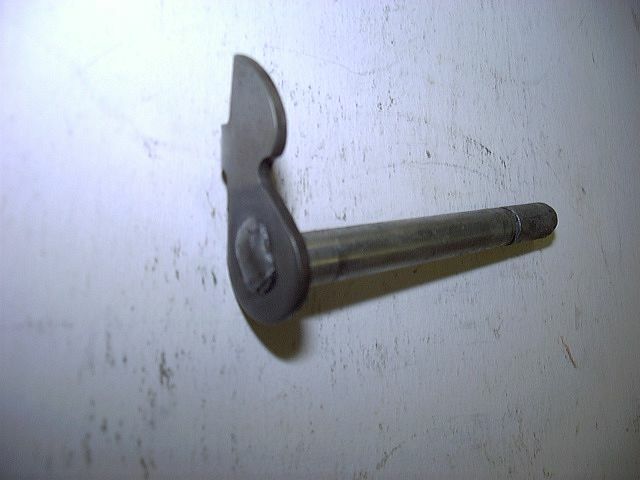 If the lever feels soft against the stops, the shaft might have broken loose from its internal cam. The pic below shows the weld that often breaks. That level pushes a spool valve that has a very light spring on it... It should reach a solid stop in the forward direction when the bent tab contacts the limit screw.. It should have light spring tension then hit solid in the rearward direction when the spool bottoms in it's bore.. I will check mine and respond back here. Last edited by minivan; 10/06/09 11:54 PM.